Forest Garden Sage Playhouse: This beautiful wooden playhouse features 3 fixed styrene glazed windows so that your little one can see out and also so that you can keep an eye on them whilst they are playing inside. The playhouse has a split stable style door so that you can have the bottom closed and the top open to let in extra light and ventilation. The children will enjoy many hours of fun in this compact wooden playhouse, it is built to last and has a solid boarded floor and roof and a tongue and groove construction in a 12mm thickness for a quality finish. The timber is pressure treated to prevent it from rot and the wood can be painted a colour as in the image if you so require giving it a personalised finish. Pressure treated timber is simple and easy to maintain as it does not require the yearly application of timber treatment. 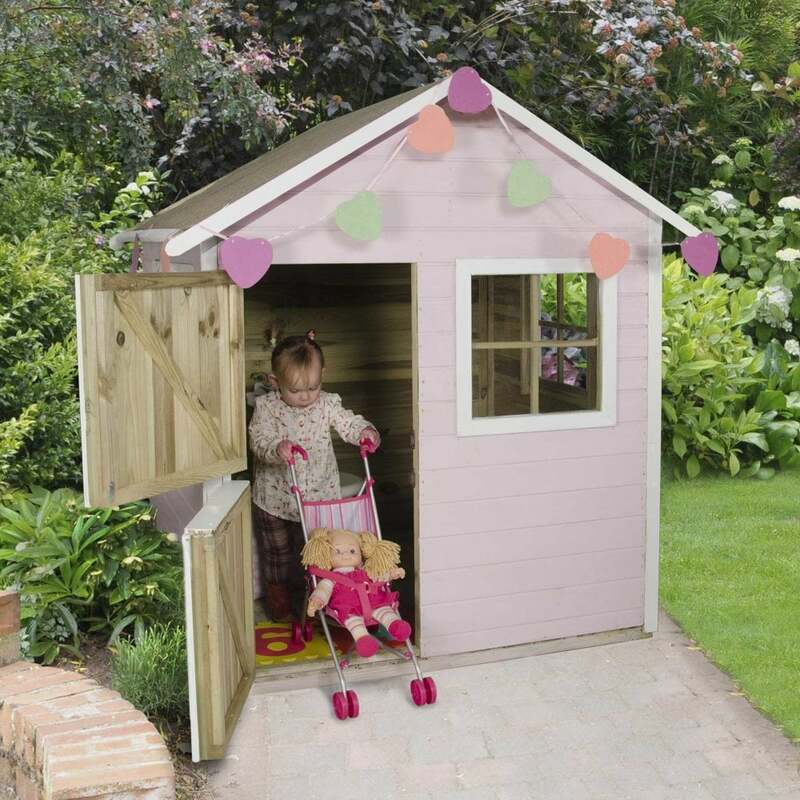 Please Note that this playhouse is not supplied in a painted finish and does not include any of the decorations or toys – these are shown for illustration purposes only.